Roch Voisine, is a Canadian singer-songwriter, actor, radio and television host who lives in Montreal, Quebec and Paris, France. Born in Edmundston, New Brunswick, Canada, he grew up in Saint-Basile, New Brunswick and later moved to Notre-Dame-du-Lac when he was 12. After high-school he attended the University of Ottawa where he graduated in 1985 with a degree in physiotherapy. Voisine aspired to be a professional ice hockey player. He had to set his plans aside when he was severely injured while playing baseball in 1981. Leap ahead 5 years and in the summer of 1986, he has his music debut singing on Canada Day in front of 50,000 people at la Ronde amusement park in Montreal. The rest is history, as they say. He’s since sold millions, I mean millions of records, toured the world, received numerous awards as both a musician and a humanitarian, and probably holds the title as Canada’s best looking man. I tried to get hold of Roch for an interview but after much chasing I was only to discover he was on a plane, on his way to begin his European tour. So I give you… his story…. n January 2001, Roch travels to Africa as a Unicef representative. Upon his return, he begins to record his 11th album, Roch Voisine, which was launched in Quebec and in France. In 2002, the album Higher is released followed by Je te serai fidèle which climbs rapidly to the top of the best sellers list with more than 500 000 copies sold in France, Switzerland and Belgium. As a crowning achievement, Roch is awarded the « Male francophone artist for 2005 » at the NRJ Music Awards. In August, a new album Americana was released on the European market. It was recorded in Nashville, the heart of country music in the United States. Americana 1 would be the first in a series of albums regrouping the indispensables of North American music. In late 2008, he was presented with the Excellence Award for Leadership in Canada by the University of Ottawa in recognition for his participation in the Unicef organization in Africa. In August 2009, Americana II was released in Europe. With the public’s excited enthusiasm for Americana I & II albums, Roch traveled throughout France, Belgium and Switzerland until December 2009. This year, Roch invites you to an inspiring, unique, and a new way of experiencing his live show. Accompanied by two other musicians, Roch will perform his greatest hits in their purest and most intimate format yet. Roch has remained ever-present and loyal to his fans throughout the years and has now created a new concert to showcase his music while feeling even closer to his beloved audience. 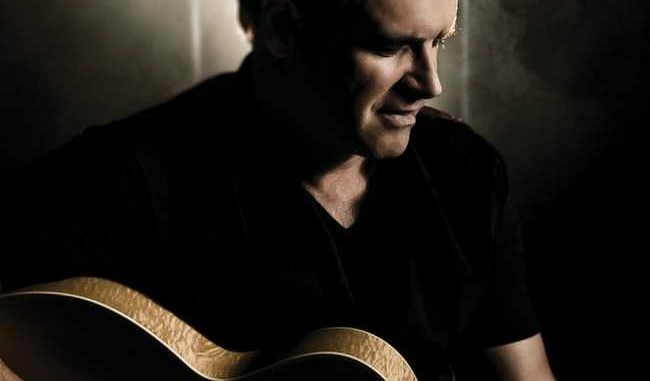 Roch Voisine appears Tuesday, March 5 at Showplace Performance Centre.